Dutchess County’s premier boxing program at Precision Mixed Martial Arts in Lagrangeville, New York is growing at an exponential rate due to renovations, and expert instructors. We see new faces walking in the doors every day and can only attribute this to the many progressive changes we have made in all areas of our business. As of just a few weeks ago Precision MMA in Dutchess County made a number of renovations to improve our facility which have had a direct impact on our boxing program. Our boxers had originally had an impressive 3,500 square feet of training space, which has now been increased to a staggering 4,000 feet. This allows our boxers much more room in which to spar without fear of collision with other students. We have also added a speed bag to our training tools which has been getting much use amongst our boxers who have upcoming fights and are looking to improve their punching speed and reaction time. In addition to this, we also have a double end bag, a maze bag, an uppercut bag, a heavy bag, a long bag and a human-torso shaped bob-bag which all have specific uses. Our 20 by 20 foot boxing ring is of excellent quality and located conveniently near the heavy bags and the focus mitts which also get a great deal of usage. Dutchess County’s best boxing program at Precision MMA also has several excellent instructors, all of whom have competition experience and unique teaching styles. Our head boxing instructor Derrick Ohlhoff is himself a 3 times Golden Gloves boxing champion with over twenty amateur fights under his belt who has several years of coaching experience and who has trained with top boxers Brian Barbosa and Zuri Lawrence, the latter of whom was a training partner for none other than Evander Holyfield and who occasionally trains with us as well. Derrick is a very patient instructor who has worked with everyone from pros to amateurs to beginners and has a great sense of humor which keeps his classes entertaining. Another one of our boxing coaches, Jon Russo, is himself an experienced amateur boxer and who is very unique in his teaching style. Because Jon has also cross trained in martial arts such as Taekwondo and Jeet Kune Do he has a very self-defense minded approach to his boxing instruction which is somewhat different from the typical sport boxing coach. Jon is equally adept at instructing students preparing for upcoming boxing matches and teaching boxing techniques which might be more useful for the street even if they are not legal in competition and this gives his students a sense of confidence that they might be more able to defend themselves in a violent attack. Jon Joy is also another great coach we employ who is particularly good at outlining the finer points of boxing technique such as foot work and head movement. The reasons for the growth of Precision MMA’s boxing program in Dutchess County are clear: excellent instructors with different teaching styles, an improved facility with extra training space and all of the amenities anyone could want are a winning formula. Come try us out for 30 free days and learn the sweet science from the very best. Whenever a person chooses to spend a large amount of time engaged in an activity it is important that they ask themselves: “is this endeavor going to help me evolve as a human being? Does it have a high probability of crossing over into other areas of my life and strengthening my overall character, or is this activity an isolated one which has little chance of affecting my outlook and improving my life as a whole?” Out of all the endeavors one can choose to undertake, martial arts’ training is certainly one of those which has the greatest ability to impact multiple areas of a person’s life and help them to reach their highest personal potential. There are many reasons for this, and many ways in which it can help people to overcome adversity, which we will look at in detail in this blog. Martial arts’ training, like that offered at Precision Mixed Martial Arts in Dutchess County, New York, is an incredible vehicle for self-transformation. Countless people have used martial arts to achieve different goals in their lives, many of which may not have been specifically limited to self-defense or physical fighting. One of the reasons why martial arts’ training such as that offered at Precision MMA in Dutchess County can aid a person with multiple areas of their life is that it is multi-faceted in nature. What I mean by this is that while it is a physical activity which can get one into much better shape and improve one’s general health, it also has a great ability to increase one’s confidence in different areas. A truly good martial art taught by a truly good teacher should affect several areas of one’s life. First, as mentioned, there is the purely physical side of the martial arts. Many people have lost considerable weight, gained muscle mass, and improved blood pressure, cholesterol and general health through their martial arts’ training. Martial arts taught at Precision MMA in Dutchess County, New York, such as Brazilian Jiu-Jitsu, Boxing, Muay Thai Kickboxing, Judo and Wrestling all improve one’s cardio vascular endurance, muscular strength, and flexibility, while also helping to burn calories and relieve stress. Indeed, lives have been saved by the martial arts even aside from them being used for self-defense. In particular, I have known more than one person who has lost over one hundred pounds through martial arts training, and who, with the help of a healthy diet, has brought down high levels of cholesterol and high blood pressure to manageable levels. Doctors have much to thank martial arts’ instructors for when it comes to these gains, and experienced instructors like Dutchess Counties’ Brian McLaughlin have helped many people to achieve these goals. At the end of a long day, martial arts’ training can also help one to relieve stress, which is one of the main causes of high blood pressure, and can promote a positive mood and help one to get a better night’s sleep. In many cases like my own, training for upcoming tournaments where I needed to make a certain weight class has been motivation to lose more than twenty pounds and improve my diet and overall health. In so many cases where martial artists have worked hard to make weight for competition the benefits of a leaner body and lower fat percentage have remained after the tournament or fight has ended and regardless of whether they have won or lost. While losing weight is a great goal in itself simply for the benefit of being healthier, the extra motivation of knowing it may help one to win a competition is often crucial for those who might otherwise have difficulty summoning the drive to put in the work necessary to shed the pounds. In addition, there is then the added benefit of looking better once one has lost the weight and gained muscle, and this leads to an overall better self-image and greater general self-esteem. Aside from the health benefits, effective martial arts like those taught at Precision MMA in Dutchess County can improve one’s confidence by giving them the tools to defend themselves should they ever be the victim of a violent attack. As the world around us becomes an increasingly dangerous place people are looking for more and more ways to feel secure. Some have taken to carrying guns, but aside from the hoops one must go through to legally purchase and carry a firearm, there must always be the remaining fear that the weapon might not be close enough if needed during a surprise attack. When one is trained in the martial arts one’s weapons are on them at all times, and there is an extra feeling of security in knowing that one need not rely on a tool to protect themselves should the need arise. Others would rather base their hopes on the belief that the police will be able to protect them should anyone threaten them with violence, but again, this is relying on an outside force for security and the police cannot always save everyone who is in harm’s way. Reliance upon other people, a weapon or even a guard dog to keep one safe still does not treat the underlying sense of helplessness that comes with knowing deep down that one does not possess the bare handed skills for self preservation. Martial arts’ training at Precision MMA in Dutchess County can change all that. Someone who has put in long hours drilling techniques from martial arts like Brazilian Jiu-Jitsu and Muay Thai, both offered at Dutchess Counties’ Precision, will have the self-confidence necessary to sleep soundly in situations where other untrained individuals might feel insecure. However, martial arts’ training like that available at Precision MMA in Dutchess County can raise one’s personal potential beyond health and a sense of self-security. For those martial artists who have tested themselves in hard sparring sessions, grappling competitions, boxing, kickboxing or MMA fights, they reap even greater rewards. Though hard sparring and different forms of competition are not for everyone, the physical pain and discomfort that one must endure to make it through these trials also breeds strength of character. For example, I myself have torn the anterior cruciate ligaments in both of my knees through martial arts training, and I very much believe that I have come back stronger, not only in body but in mind, from these unfortunate injuries. Though the physical therapy necessary for recovery was itself separate from martial arts training, emotionally the training I had endured in my life gave me both the strength to believe I could make it through the therapy, as well as provided motivation for me to make it through so I could go back to training. In this way, my martial arts training gave me both confidence and a sense of purpose in facing a difficult situation, and these situations need not be limited to physical injuries. Whenever facing any challenge in life I can now ask myself “is this going to be more difficult than ACL rehab? Is this going to be more difficult than coming back from rehabilitation to win martial arts competitions against those who have not injured their knees?” And when the answer is “no”, I have a renewed sense of self-security and a greater belief that I can overcome whatever challenge is facing me. I personally believe that great martial artists also have a greater chance of succeeding in all other areas of life because I see fighting as a microcosm of life. Any difficulty we face, whether it is a job interview, moving to a new town or anything else, can feel like a fight to us, so having been through literal fights can make all the difference when it comes to our own confidence in dealing with these matters. And when it comes to success, confidence is key in all situations, because the first step to achieving a goal is believing no matter the odds you will be triumphant. Martial arts training is really something that everyone should be involved in, regardless of whether you plan on competing, or even feel as though you will never need these skills to defend yourself, classes like those taught at Precision MMA in Dutchess County, New York will help everyone to reach their personal potential more effectively. The results that martial arts training can produce in overall physical health, as a tool for self-defense, and also as a measuring stick for all challenges faced in life are unique and cannot be found in many other activities like non-contact sports or in arts and crafts. No matter what your life goals are, martial arts training at Precision MMA can help you achieve them by giving you a greater sense of self sufficiency when it comes to pushing beyond those breaking points others would often stop at. Try us out for 30 free days and one thing is for sure, they’ll be better than the last 30. 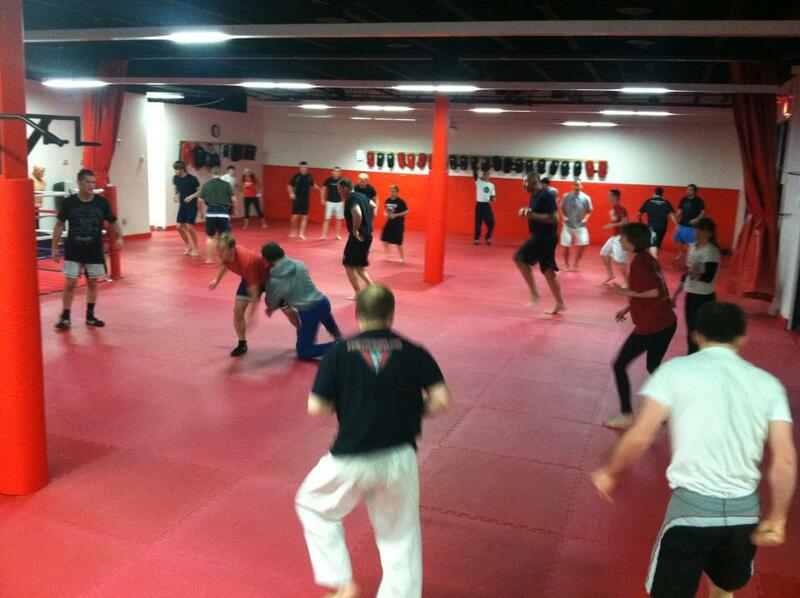 Precision MMA in LaGrange, NY is Dutchess County’s largest and best equipped MMA facility. Precision combines elite grappling amenities such as crash pads, zebra mats and wall padding with a world class striking facility featuring a full sized boxing ring, numerous punching and kicking bags, pads and sparring equipment. At over 5,000 sq. feet Precision MMA is never too crowded. In addition, the space is cleaned regularly and the best maintained facility in all of Dutchess County. In addition to the incredible location, Precision MMA also brings together the best team of instructors across Dutchess County. Golden Gloves Champions, Ultimate Fighter Veterans, Judo and Brazilian Jiu-Jitsu Black Belts and kickboxing and muay thai champs comprise the incredible staff at Precision MMA. Precision MMA coach Brian McLaughlin is also the only MMA coach in Dutchess County to corner UFC fighters. 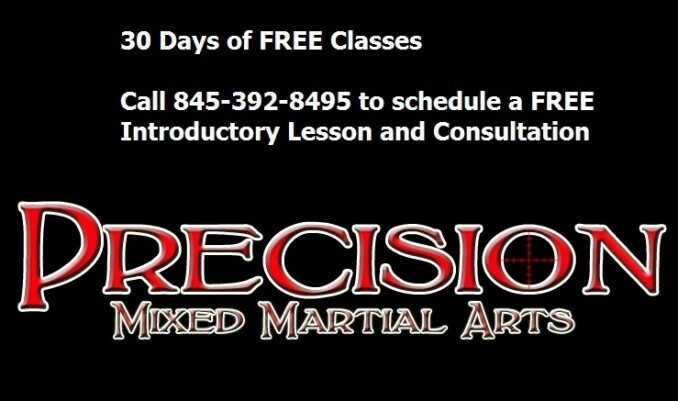 To learn authentic mma in the Hudson Valley check out Precision MMA in LaGrange, NY. Boasting a 5,000 square foot facility complete with wall padding, Zebra mats, crash pads, a full size boxing ring, assortment of every kind of punching bag Precision is the Hudson Valley’s most complete MMA facility. 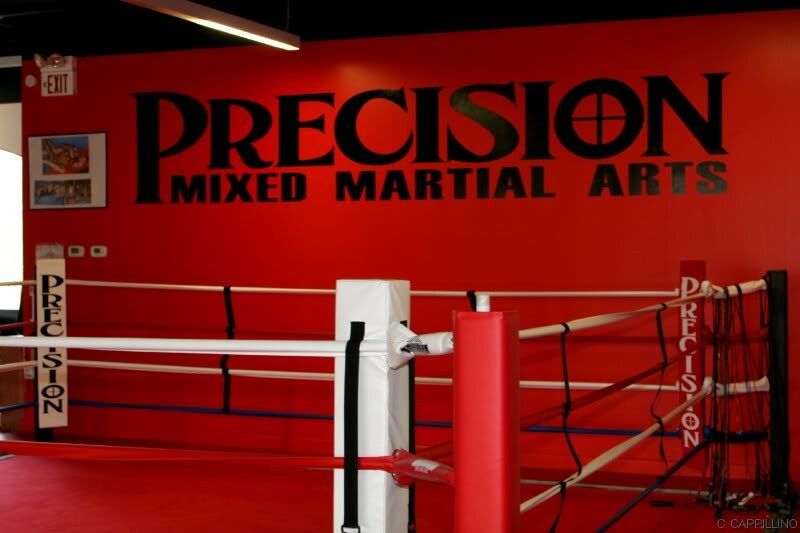 Precision Mixed Martial Arts prides itself on being an authentic mixed martial arts gym. What exactly does that entail though? It does not mean that we focus solely on competitive MMA. Unfortunately, even many successful mixed martial arts gyms develop a style that is a sort of “Cliff Notes” version of the various martial arts disciplines. They do not attempt to learn philosophies, strategies, nuances and essence of each individual art – but rather boil them down to a handful of techniques that allow them to be effective for competition. Precision MMA takes a completely different approach. Rather than jack-of-all-trade instructors we have specialists with intimate knowledge of each particular range of combat. As a result our students walk away with a full understanding of the arts they choose to study. This also allows students the option to keep their training as focused or broad as they see fit without sacrificing the core essentials of the martial arts. This diverse blending under one roof allows Precision MMA students to achieve results many would consider impossible for an MMA academy. This past weekend Precision MMA student Pat Daka won the New York State Golden Gloves – the most sought after amateur boxing tournament in the region. All of the opponents Pat defeated came from pure boxing gyms. These competitors were at facilities that were fully and entirely devoted to the art of boxing. 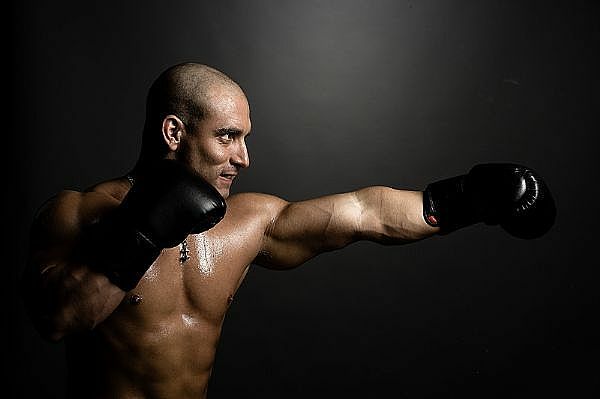 However, Precision MMA fighters were able to defeat them because we do not cut corners in our boxing program. Our coaches have over 50 combined boxing matches and trained along side some of the top boxers in the region. Our facility has all essential ementies of a world class boxing gym – including a full sized boxing ring, jump ropes, heavy bags, uppercut bags, double-end and maze bags. The only major difference is the boxing training reflects the martial arts attitude of discipline, respect and order rather than the informal rough and tumble nature of many urban boxing gyms. The same weekend in which Pat was crowned golden gloves champion Precision student Hassan Kahn took home victories at a traditional Brazilian Jiu-Jitsu competition. 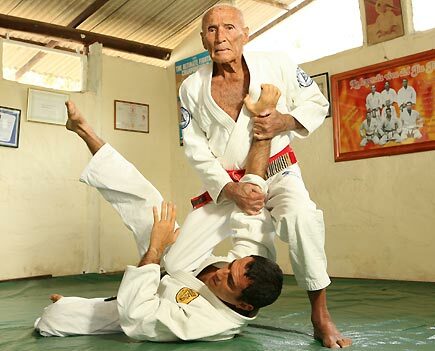 Earning victories both with and without the kimono, Hassan showed that Precision MMA’s Brazilian Jiu-Jitsu program is complete and despite being a mixed martial arts academy can defeat opponents from BJJ exclusive academies. Our Brazilian Jiu-jitsu program does not simply include the must have elements of the art, it improves upon them. By bringing in Judo black belts and accomplished scholastic and Greco-Roman wrestlers Precision’s BJJ program adds diversity to its training techniques and methodologies. The coming weeks will be busy ones at Precision as head coach Brian McLaughlin makes final preparations with UFC fighter Jim Miller as he prepares to fight Pat Healy. Brian was hand-picked by Miller to help him improve his style of non-stop submission and striking attacks. Find the best MMA instruction in the Hudson Valley at Precision Mixed Martial Arts. Whether you’re looking to get into shape, want to learn self-defense, or are a serious competitor, Precision MMA is perfect for you! So, what did Precision MMA fighters do last year? A lot! That’s why Precision MMA is the best MMA gym in the Hudson Valley. First we had Mike “Pantene” Piekarski step into the ring in his professional MMA debut. After five amateur fights and a laundry list of grappling and muay thai wins Pantene was ready for the big time. His opponent was Eric Moore, a well-rounded prospect who was unbeaten in the sport. The fight went down as the co-main event at Xtreme Caged Combat in Philadelphia, PA. After three back and for the rounds the fight went to the judges score card and Mike got his hand raised! Way to rep the Hudson Valley, Mike! The next fighter to step into the cage for Precision was Brian Barry. After tasting victory in amateur wrestling and Jiu-Jitsu competition Brian entered the cage at the Mid Hudson Civic Center for a muay thai bout. His opponent was game and used a strong jab and head kicks to try and keep Brian at bay. However, Brian’s intensity and conditioning were the difference, allowing him to get inside and punish his opponent en route to a decision victory! Brian Barry shows that our Hudson Valley MMA program is one of the best in the area! That same day Precision MMA in the Hudson Valley’s competitors took to the mats at Grapplers Quest in New Jersey. Hassan Kahn took home a gold medal while Erik Dziuk earned a bronze medal after some outstanding submissions. Chris Stanley put for a strong effort but fell short on points in his first match. More recently Precision sent 4 competitors to NAGA (North American Grapplin Association) World Championship and walked away with 3 medals. Larry McCord took home 2nd place scoring some nice submissions in the process. Kevin Enkler grabbed 3rd place after some hard fought victories and Big Drew grabbed 1st place making it a great outing for Precision! AJ Taurone showed incredible technique, but ran into a tough competitor and lost on points. He showed great skill and composure in his matches though and is sure to learn and come back stronger. I am very proud of all the Precision competitors who showed heart and skill in both their preparation and performances. The hard work has been paying off! The unique thing about Precision is the variety of disciplines in which we have excelled. Very few schools can boast wins in grappling, muay thai and mixed martial arts all in the same month – great job guys! Precision MMA fighters are representing the Hudson Valley in MMA all the time. Make sure to stop in to find out how you can learn martial arts and compete with the best! http://www.poughkeepsiemixedmartialarts.com you can also call us at 845-392-8495 or stop in at 1097 Route 55, Lagrangeville NY 12540. The sweet science of Boxing is finally available to students in LaGrange, NY! Precision MMA has a full sized ring, several heavy bags and world class boxing instructors to guide you through your boxing journey. The boxing program at Precision Mixed Martial Arts is always growing in popularity, attracting a wide variety of students, including men, women, and teens. The boxing classes at Precision are top notch, and the students are truly benefiting from them. Primarily taught by Jon Russo and Derrick Ohlhoff, both coaches give great instruction in a patient, and constructive manner and are a large contributing factor to why the Precision MMA boxing classes in LaGrange, NY are always so well attended! Precision Mixed Martial Arts boxing classes produce results. There’s a reason why the boxing program at Precision is so popular: it produces the results that the students desire. Those that were overweight have shed pounds and gotten back into shape. Those that wanted to gain confidence are now walking with newfound self respect. Those that wanted to learn self defense can now feel safe when alone. And those that wanted to learn to fight are honing their skills to step into the ring. Boxing classes in LaGrange, NY at Precision have already produced several champions, the newest being AKBF 160lb. boxing champ from LaGrange, NY John Joy! If you want to take part in the exceptional boxing classes at Precision Mixed Martial Arts, then come in for a FREE 30 day trial today! You, too, can gain from the benefits of boxing classes in LaGrange, NY at Precision, and you can start on the right path with our ABSOLUTELY FREE 30 day trial offer! Go online to http://www.poughkeepsieboxing.com today to start your free trial and take part in boxing classes at Precision Mixed Martial Arts in LaGrange, NY today!